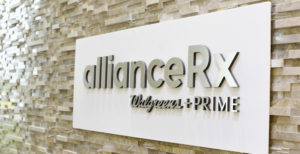 ORLANDO, Fla. — AllianceRx Walgreens Prime, a leading central specialty and home delivery pharmacy, can now offer new medicines to patients with certain rare, chronic and complex conditions. Known as limited distribution drugs, these hard-to-find medicines treat rare conditions such as advanced cancer of the stomach, community-acquired bacterial pneumonia (CABP), and opioid addiction, to name a few. Cyramza (ramucirumab) is used alone or in combination with various types of chemotherapy to treat patients with specific kinds of advanced cancers – including cancer of the stomach, metastatic (cancer that has spread to other parts of the body) non-small cell lung cancer (NSCLC) or metastatic colorectal cancer – and whose cancer has progressed on or after being treated with other initial types of chemotherapy. Cyramza is manufactured by Lilly. Nuzyra (omadacycline) is indicated for the treatment of adult patients with the following indications caused by susceptible microorganisms: community-acquired bacterial pneumonia (CABP) and acute bacterial skin and skin structure infections (ABSSSI). Nuzyra is marketed by Paratek Pharmaceuticals, Inc.
Probuphine (buprenorphine) is a subdermal (under the skin) implant manufactured by Titan Pharmaceuticals. The implant treats certain adults who are addicted to opioid drugs by providing non-fluctuating blood levels of buprenorphine around the clock for a period of six months, following a single treatment surgical procedure. Portrazza (necitumumab), manufactured by Lilly, is a first-line treatment of patients with metastatic squamous NSCLC. Ultomiris (ravulizumab-cwvz) is prescribed for the treatment of adult patients with paroxysmal nocturnal hemoglobinuria, a rare and life-threatening blood disease. Alexion Pharmaceuticals manufacturers the medicine. In addition, AllianceRx Walgreens Prime can dispense two recently authorized generic drugs of Epclusa (sofosbuvir/velpatasvir) and Harvoni (ledipasvir/sofosbuvir) to patients. Manufactured by Gilead, both medicines are highly utilized for the treatment of hepatitis C virus.